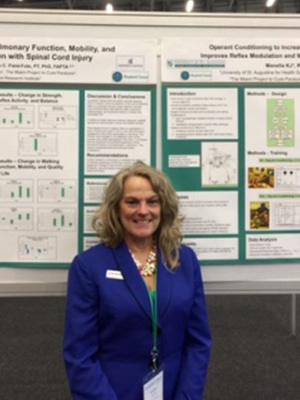 San Marcos, CA, July 10, 2017 – University of St. Augustine Health Sciences (USAHS), a leading graduate institution that emphasizes health science education through innovative classroom education, is proud to announce that several faculty attended and presented leading research at the World Confederation for Physical Therapy (WCPT) Congress in early July. Approximately 2,000 physical therapists from more than 100 countries traveled to Cape Town, South Africa to attend the Congress. Founded in 1951, the WCPT is the sole international voice for physical therapy, representing more than 350,000 physical therapists worldwide through its 111 member organizations. A WCPT Congress is where the world of physical therapy meets to share the latest research and practice advances, to debate hot topics and professional issues, and to network and to learn from experiences across diverse settings around the world.